Believe it or not, it’s still possible: This week, Congress approved a measure with bipartisan support. The rewrite ushers in a few important changes. At the top of the list: States won’t have to get the secretary of education’s blessing when setting their CTE goals. The secretary is also barred from dictating standards. The Education Department can step in only if states repeatedly fail to make what the overhaul calls “meaningful progress” toward the goals they set for themselves. “Because of this legislation, career and technical education programs will continue to help students succeed in the workforce of today and learn the skills for the workforce of tomorrow,” Neil Bradley, executive vice president of the U.S. Chamber of Commerce, said in a statement. 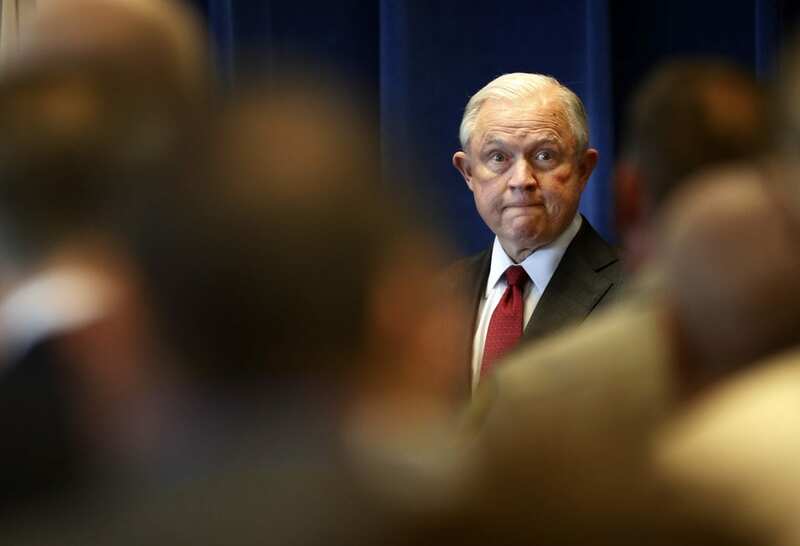 U.S. Attorney General Jeff Sessions made headlines Tuesday when he addressed Turning Point USA’s High School Leadership Summit, an annual conference for conservative high school students. At one point, the crowd of high-schoolers interrupted Sessions, chanting a familiar refrain from President Trump’s 2016 campaign: “Lock her up!” Sessions laughed at the reference to Hillary Clinton and repeated it. Less reported was the message, about free speech on college campuses, that the students’ chant interrupted. Sessions listed a handful of recent campus events that have been interrupted or cancelled because of protests. He decried not just trigger warnings and efforts to make campuses “safe spaces” but also derided cry closets, therapy dogs, optional exams and grade inflation. According to the Journal, the draft regulation would instead force prospective students to do more homework of their own when shopping for schools, using the federal government’s College Scorecard. The online database, created by the Obama administration, offers detailed profiles of colleges, including information about completion rates, student debt and earnings. The Education Department also released a proposed revision to Obama-era rules meant to discharge the debt of student borrowers who have been defrauded by their college or university. These so-called “borrower defense” rules were first pitched after the high-profile collapse of two massive, for-profit college chains left thousands of students in limbo and looking for relief.